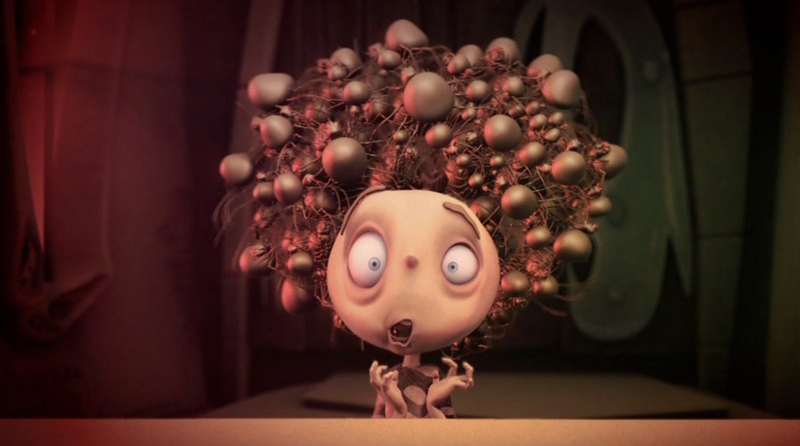 Figaro Pho was an animated television series produced for the ABC from 2007 to 2009. It comprised of 26 x 1 minute long episodes about a boy with an alphabet of phobias. Figaro would go on to win several awards including AFI's for creative excellence and best children's television animation. My role on Figaro was as animator on 7 and a half episodes. In addition I was also responsible for the modeling of several key character assets, props and sets featured in numerous episodes. Below is a sample of the episodes I worked on as well as various characters, sets and props I modeled. A selection of character, prop and set assets modeled in maya, zbrush and mudbox. Note, I was not responsible for the texturing, rendering or compositing. Spider - modeled in maya, mudbox and zbrush. Centipede - modeled in maya and mudbox. Beard "eggsac" - modeled in maya, mudbox and zbrush. Toilet and bathroom set - modeled in maya. Sink and bathroom set - modeled in maya. Front door and living room set - modeled in maya. Castle exterior set - modeled in maya, mudbox and maya. Bus interior set - modeled in maya and mudbox. Pea and carrot characters - modeled in maya, mudbox and zbrush. Fly character - modeled in maya and mudbox.